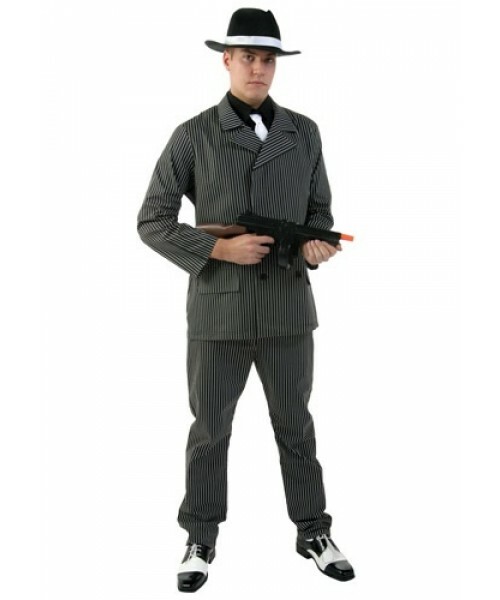 This wide stripe plus size gangster costume is a traditional 1920's gangster suit. This is a plus size gangster Halloween costume in a classic style. ?ǣAs far back as I can remember I always wanted to be a gangster. ?ǥ Now is your chance to be what you've always wanted to be! You'll look like one of the 'Goodfellas' when you wear this Wide Stripe Plus Size Gangster Costume.